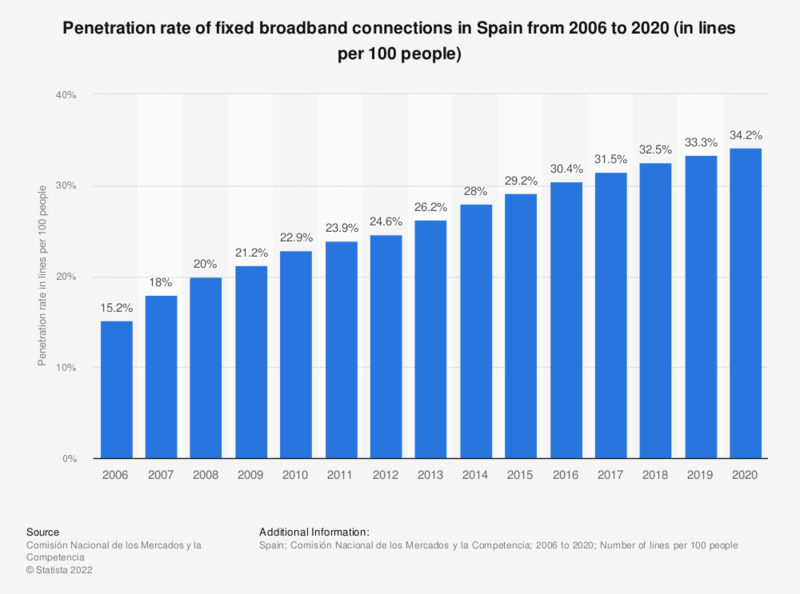 This statistic shows the penetration rate of fixed broadband connections in Spain from 2006 to 2017. Penetration figures increased during these years. In 2016, the penetration rate of fixed broadband connections exceeded 30 percent of lines.